Before I did a written budget (see post here) I used to spend close to $900 a month to feed my husband and I. It was a lot of food wasted, buying produce out of season and eating out. I quickly realized this was a huge waste of our money and I could do things better and differently to save a lot of money in this area. When I learned about couponing and price matching I was able to cut my food costs down to $250 a month! REMEMBER: Check the store policy for more accurate information and policies. The site dealstomeals.com (sample page here) helped do a lot of the leg-work for me for only $1.25 a week ($5 a month.) Normally I search the deals and go to one store that price matches, some of you might have to travel to multiple stores. Here are three steps I follow for price matching. 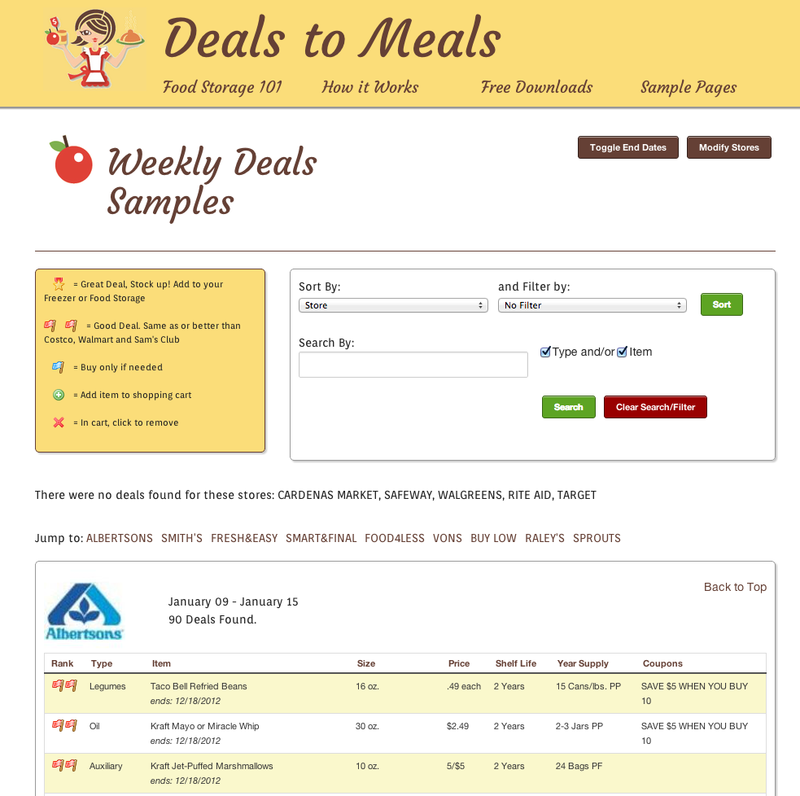 Go with a plan: Plan out what store(s) you will be going to with a list of your deals and coupons. Have a list: Make a list of what you need and if its not on the list don’t buy it. Only use cash: If you separate your weekly amount of cash to be spent on groceries, when its gone its gone. Make sure to check the items carefully that you are price matching: $1.66 for an 11.5 oz box of cereal opposed a 17.5 oz box. Incase you have to show the actual ad, always have it nearby. When you get to the register try to stay as organized as possible. It does take extra time for the cashier to change the price of each item manually so try to buy multiples of the exact same item (instead of 5 different cereals, 5 of the same). This makes it go much faster and again helps the cashier. If you have more than 20 items its courteous to tell the person behind you that you are price matching to let them know it will take longer. I really struggled with this at first, it can be awkward and uncomfortable. But I really wanted to save money and pay off my debts. I eventually came to LOVE price-matching and now pains me a little if I have to pay full retail for something. TIP: Try to pick a younger (nice looking) cashier they are fast and usually don’t bog you down by asking to see each ad being matched. Its AMAZING the things you can do with money when you make a plan.